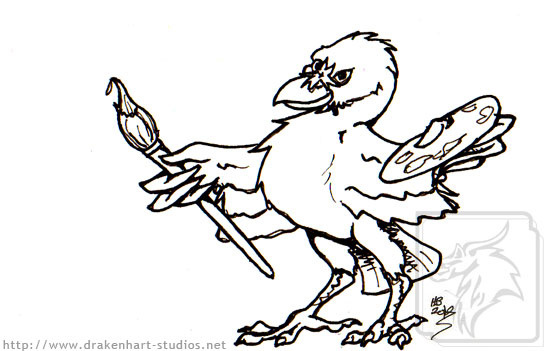 A raven brandishes a paint brush, ready to cover a canvas with its creative and imaginative paintings! This is on card stock and is about 3" tall by about 4.75" wide (give or take). Original is for sale and can be laminated upon request. Reproductions can be purchased and digitally colored.